Queen Victoria and Albert, the Prince Consort, had nine children who, despite their very different characters remained a close-knit family. Inevitably, as they married into European royal families their loyalties were divided and their lives dominated by political controversy. This is not only the story of their lives in terms of world impact, but also of personal achievements in their own right, individual contributions to public life in Britain and overseas, and as the children of Queen Victoria and the Prince Consort. 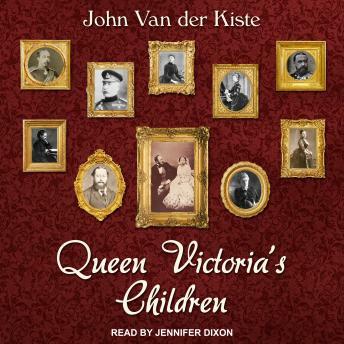 John Van der Kiste weaves together the lives of each of these children and shows how their mother was the thread that kept the family together. It is a refreshing insight into one of history's most popular royal families.